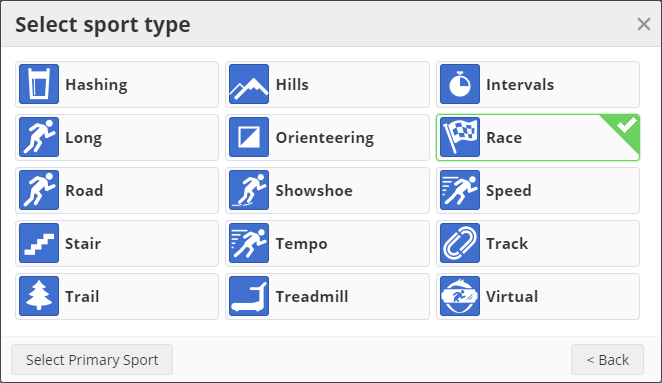 Spring is arriving here in North America, bringing with it race season and a number of useful updates to the SportTracks platform related to races and performance modeling. If you don't see a countdown timer to your next race, make sure to add the planned race to your calendar, and pick the "Race" type in the sub-sport for the run, ride or swim. To add chart markers click the settings gear in the upper right corner of the chart panel and select the markers you want to see. You may have noticed another change on the health page - the time filter links have been replaced by a button that opens the date selection dialog. 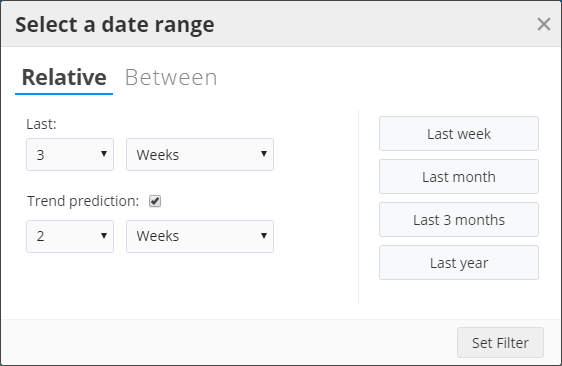 Using the dialog you can pick any range of custom dates, or a relative period of time before today. Relative dates can be any duration of time based on a number of days, weeks, months or years. You can also totally customize a duration to show future predicted trends for performance modeling and health. Fitness, Fatigue and Performance will incorporate future planned workouts and changes due to recovery into your training load. Recorded health metrics you are tracking such as weight will use a straight line prediction from a best fit of the last 30 days of data. Use the trend prediction line with a grain of salt; there's no advanced modeling happening here, just a linear extrapolation on a best fit, so the line can get a bit nonsensical after a few weeks. But still, it's nice to see where things are going. The date selection dialog is used in three other places: filtering the workouts in the analysis, workouts, and personal records pages. With this improvement you now have much more flexibility in customizing your reports to use relative dates. Enjoy! These are huge changes for me! These alone are worth the subs I've just paid for another year. But in all seriousness, good logical updates to the charting. Good to see this! Keep the enhancements coming, please! Great changes, started using the flexible dates rightaway, and I like the ability to hide projections (I don't plan workouts in Sporttracks, so it was just noise). There is a pretty significant error in that new update. 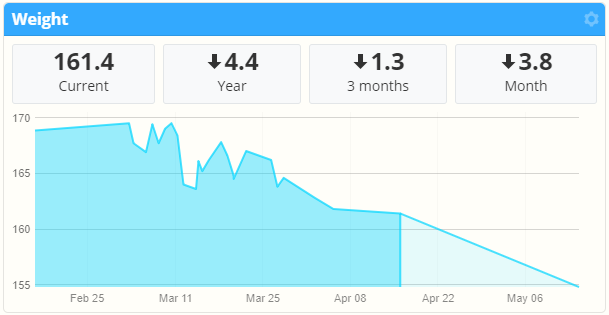 Current weight data is wrong with trend prediction turned off, while it's correct with it turned on. Great with the flexible ranges! But I actually miss the buttons for an easy flip to long-term trends. Could one hope for a combination? Ie keep the excellent range selector but bring back some shortcut buttons as well?